Poster Lagwa Do Lyrics – Luka Chuppi: This is a latest song from Kartik Aaryan and Kriti Sanon’s upcoming movie Luka Chuppi. It is sung by Mika Singh and Sunanda Sharma. Its music and lyrics both are given by White Noise Studios. 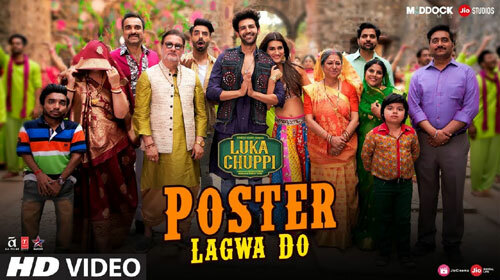 If you find any mistake in lyrics of POSTER LAGWA DO LYRICS – Luka Chuppi song please let us know in comments.